Captain's Christmas Party coming up next Saturday! Captain Chris Bird wants everyone to get into the festive spirit and join him for a Christmas gathering in the bar on Saturday 13th December after the Winter League. He will be providing mince pies, mulled wine and some yule tide themed music from around 2pm onwards. Everyone is welcome including members and guests, Christmas jumpers or santa hats are most definitely the preferred dress code! We are again holding our popular Christmas prize draw raffle, tickets are just £2 each and there is over £400 worth of prizes to be won! 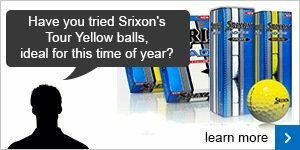 We are running a great offer at the moment - if you spend over £50 in store we will give you a FREE sleeve of Srixon balls worth £9.99!! Now that we are in the month of December you really should be thinking about getting your Christmas shopping done, remember that we offer late night shopping as we are open until 9pm every single day including weekends, with friendly staff that can help you with all your gift needs, we also offer competitive prices and a simple hassle free exchange and returns policy – why would you need to go anywhere else?! 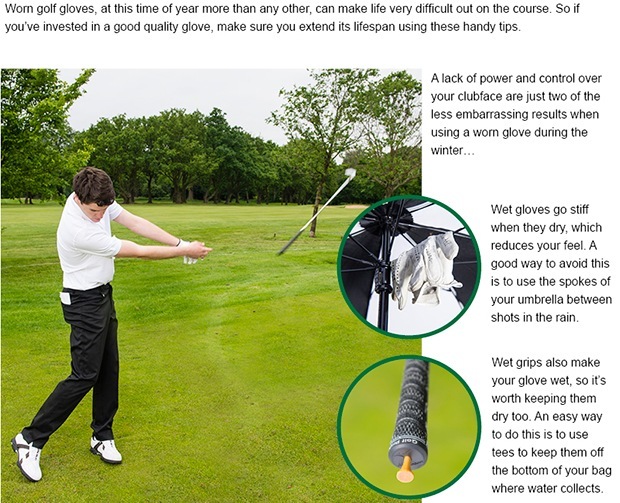 In addition there are some fantastic gift ideas from PING this Christmas, click here or on the image to find out more. Have you taken the bucket challenge yet? 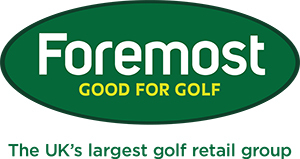 Quite a few of you have taken up the offer of a FREE bucket of balls to trial some of the new demo irons we have in stock, and so far the feedback has been very positive with many golfers seeing increases in distance but also improved accuracy. 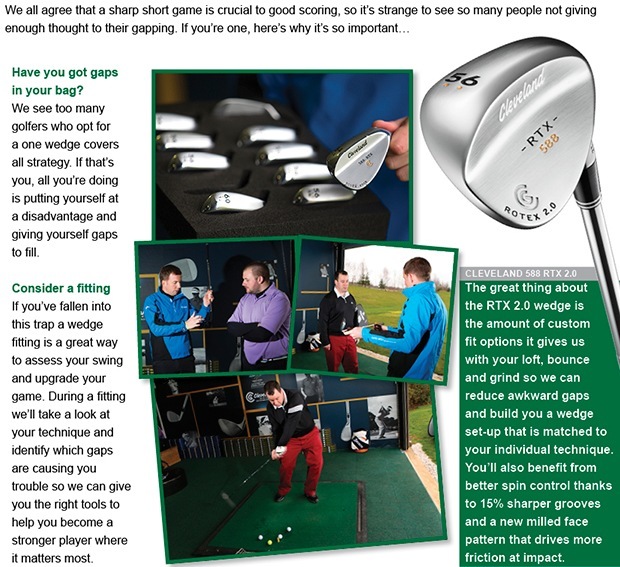 As I said last week some of the new irons on the market really do offer ground breaking technology with lighter shafts, increased size of sweet spots and super fast ball speeds off the face, increasing distance by up to 2 clubs. 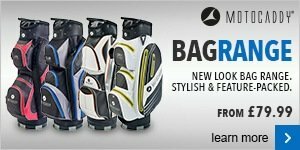 I know this is a big claim so to see for yourself if they work bring your own 7 iron down to the range and we will give you a FREE basket of balls to hit the new Callaway, TaylorMade and PING demo 7 irons and compare them to your own, in the majority of cases golfers are picking up more distance and improved accuracy! Every week we will be bringing you a profile of a member here at Hartford Golf Club, this week we are featuring one of our PGA professionals, Adrian Hill. As you may have seen there have been a strange growth going on at the club over the past 3 weeks or so from our competition Secretary Paul Underwood in support of Men's Health Awareness. Movember aims to increase early cancer detection, diagnosis and effective treatments, and ultimately reduce the number of preventable deaths. There have been some interesting names and references given him by his fellow members, who have been referred to him member of YMCA, serial killer or star of a particular 70's genre of TV, he has assured us he is none of these. Check out the mo and donate at: http://mobro.co/paulsdodgytache and more importantly if you are a male who hasn't had a recent health check-up then take this note as a kick up the backside to go and get yourself checked out. Paul will also have a donation pot at this weekend's Winter League Round 4 competition. All those that donate will go into a prize draw for a 3 course meal for 2 at Cranage Hall or a half body Swedish massage at the Knutsford Spa which you could give away as a Christmas present or enjoy for yourself. The fourth round of the Winter League was played on Sunday and it was a lovely mild, sunny winter's day so scoring was pretty good. The winning pair was a duo that always feature near the top - Liam Tyrer and Gareth Eaton scored 25 points including birdies on holes two and four and pars on the rest. In second place were the defending champions James Eaton and Julie Daines who scored 24 points as they fired three birdies, in third were Andie Fraser and Paul Underwood on 23 points. The fifth round takes place next Saturday 13th December, followed by the Captain's Christmas get together. There was a nine hole Stableford on Tuesday and the weather was again reasonable, as usual the Seniors had a great turn out of golfers and the winner was Tony Ledson who almost had a smile on his face as he collected his prize! Tony scored 20 points which was just good enough to edge out Keith Ingram who also scored 20 points with Andy Margeson taking third place with 18 points. The Seniors Christmas lunch is taking place next Tuesday 9th December with the usual nine hole game followed by a Christmas dinner and a presentation of some of the season's prizes, there are nearly 40 seniors attending so far and all seniors are welcome to attend. The next ladies competition is on Monday 8th December which is a nine hole Christmas Stableford Waltz at 9am, after this the ladies will be having their Christmas lunch party - at the moment there are 33 ladies attending and it should be a great day, all lady members are most welcome!